We are very excited to celebrate another significant holiday with our family and church. Easter is right around the corner and conversations on the topic occur in our home naturally all the time. 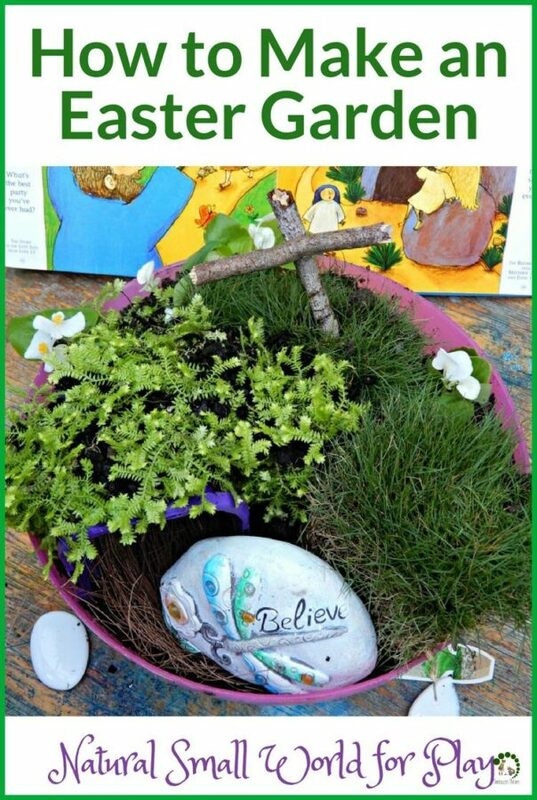 This year I suggested to my 5 yo Blossom to create an Easter Resurrection garden. My daughter was chuffed! 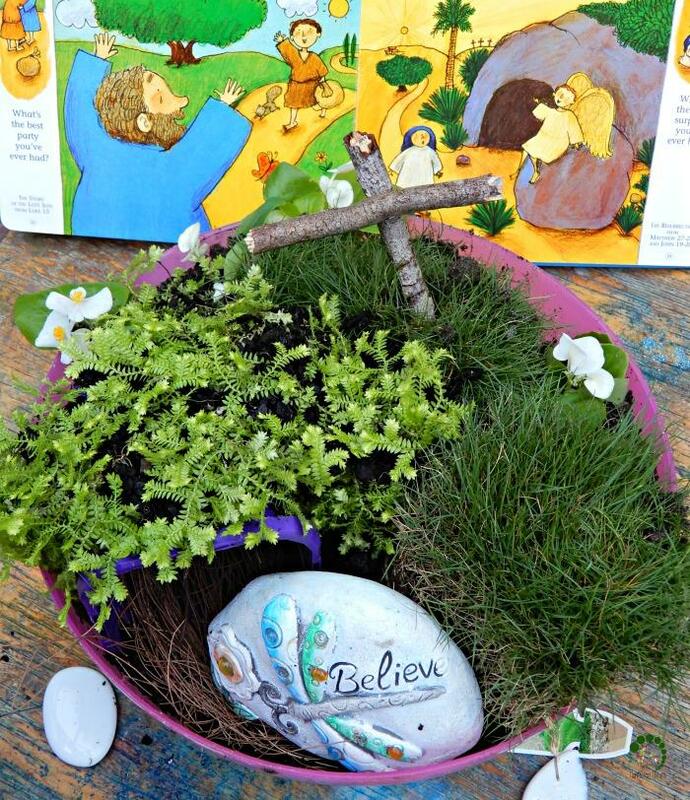 After reading and discussing the story of resurrection we thought of elements that should be included in Easter garden – tomb, rock, cross and hill. 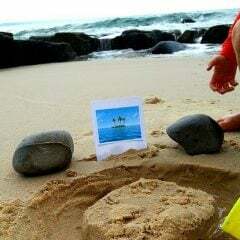 Creating small worlds together with kids gives them perfect opportunity to think creatively. 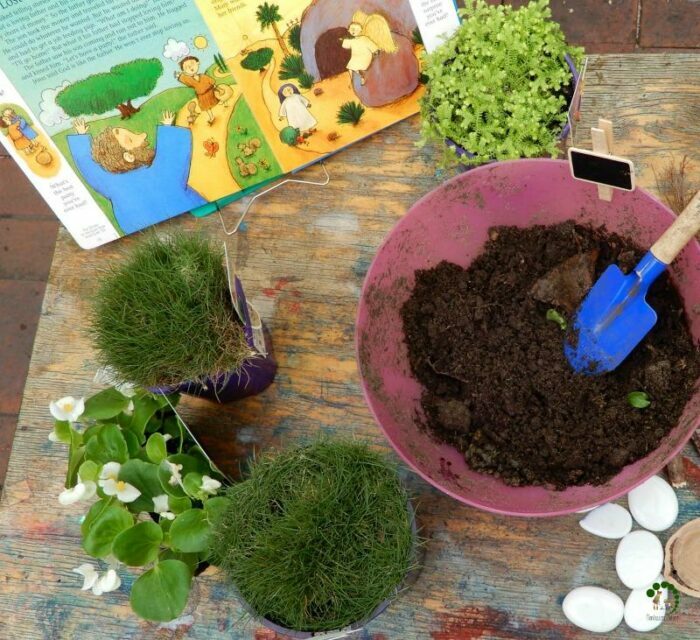 Children love playing with little world play scenes – it is a beautiful platform where they can use imagination to play and explore freely. While working together on a project, it is essential to focus on process and not so much on the result. It is also necessary to remind children that we need to put the best effort in everything that we do. We talk about textures, discuss what’s coming next and brainstorm ways to complete the task. 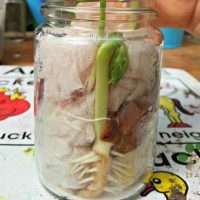 With older children, it is great to start the whole project a bit earlier – plant seeds and watch the garden grow. We decided to speed up the process and went to a garden shop to choose plants for our Easter garden. picked a wide plastic bowl – something we had at our disposal. It worked like a charm because the grass had quite deep roots. Next time I plan to use something not so deep, probably a wide garden planter will do a great job – something we can use for feeding wild birds later on. scooped plants out into the bowl and placed around tomb (a small plant pot). We will make sure to water our garden daily and hopefully, it will last for some time. 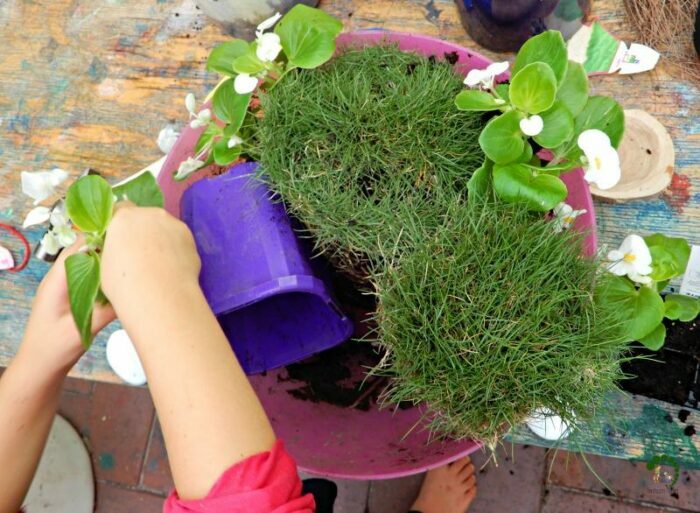 I find it very effective to combine story-telling with hands-on sensory experiences – activities that involve as many senses as possible.